The same people who stirred a bit of morality into your morning cup of joe want to get into your overstuffed closet, too. Fair Trade USA, a nonprofit organization that certifies that goods made in developing countries meet certain standards related to wages and environmental impact, is several years into an effort to bring its standards to the clothing industry. The effort began quietly, but has recently started to gain momentum. Just a few weeks ago, Patagonia pledged to launch a Fair Trade certified line of yoga apparel. Also, the Ethiopian shoemaker Oliberte recently became the first company to offer Fair Trade certified footwear. Getting the fashion industry on board with ethical production standards is a process that started a long time ago and has yet to achieve what some consider real success. "Brands started auditing their factories for working conditions in the mid '90s when Nike and others were attacked for sourcing in sweatshops, and yet we see from the Bangladesh factory collapse that actually working conditions in factories have not meaningfully improved as a result of all that auditing," says Heather Franzese, who both developed the Fair Trade USA's apparel program and who runs Good World Solutions, a company that uses technology to track conditions in factories. "Another model is needed," she says. Apparel laborers in developing countries are often drastically underpaid, work long hours without time off and are frequently underage, Franzese says. In her work, Franzese has encountered terrible factory conditions including workers being exposed to toxic chemicals and polluted air. In some countries, like Malaysia, workers emigrate from other countries, have their passports withheld by the factory owners and then are forced to work, what Franzese called "bonded labor." It's with an understanding of these injustices that Franzese developed the Fair Trade USA model for clothing suppliers. For a factory to become certified, it has to train the workers and managers, go through an audit of conditions once a year and implement necessary changes to the satisfaction of Fair Trade. Factory workers have to be paid the minimum wage for the country in which they are located and the factory owners have to demonstrate that they are moving toward a higher living wage, which is set based on the minimum wage plus some variable cost of food in that country. The early adopters of the Fair Trade Apparel program, like Patagonia, have a strong commitment to sustainability. In a controversial move, Patagonia ran an ad campaign encouraging consumers not to buy things they don't need. All workers at Fair Trade certified factories receive a Fair Trade "premium" paid by the brand hiring the supply services. That extra money goes into a single, collective bank account controlled by the laborers in the factory. The workers themselves then vote to decide whether they will use their Fair Trade premium for a community need or pay it out as a cash bonus to each employee. In Liberia, Fair Trade factory workers voted to use their disbursement to support a local school. In India, factory workers are considering establishing a computer training center and clean water projects in nearby villages with their disbursement. Yoga apparel maker prAna, the very first brand to carry Fair Trade certified product, has paid $27,000 in Fair Trade premiums to factory workers since it first launched with a single t-shirt in 2011. It's the addition of the Fair Trade premium that makes the product more expensive to the consumer, says Nicole Bassett, director of sustainability at prAna. The Fair Trade premium varies depending on the price of the product and the wages being paid at the factory, but is generally between 1 percent and 10 percent of the factory price of the good. PrAna now sells approximately a dozen Fair Trade product offerings, a mix of both women's and men's apparel. The Carlsbad, Calif.-based brand says that demand for its Fair Trade options is solid and growing. "The fact that our design team has been able to grow the offering each year shows that it is something that is being demanded in the market," says Bassett. Currently, prAna is working to figure out how it will build its Fair Trade supply chain. Its two options are to bring on additional suppliers or to work on upgrading existing suppliers up to Fair Trade standards. If prAna is to continue to expand Fair Trade product offerings, it has to actively strategize on how best to grow its current supply chain. "It needs to scale and we realized it wasn't just going to scale itself. It was actually going to involve us investing in this and growing it, so that has become a key priority for us as a company." Brands don't tend to offer Fair Trade certified apparel products unless the message is expected to hit squarely with its existing demographic. That's because it takes time and effort on behalf of the brand to ramp up. 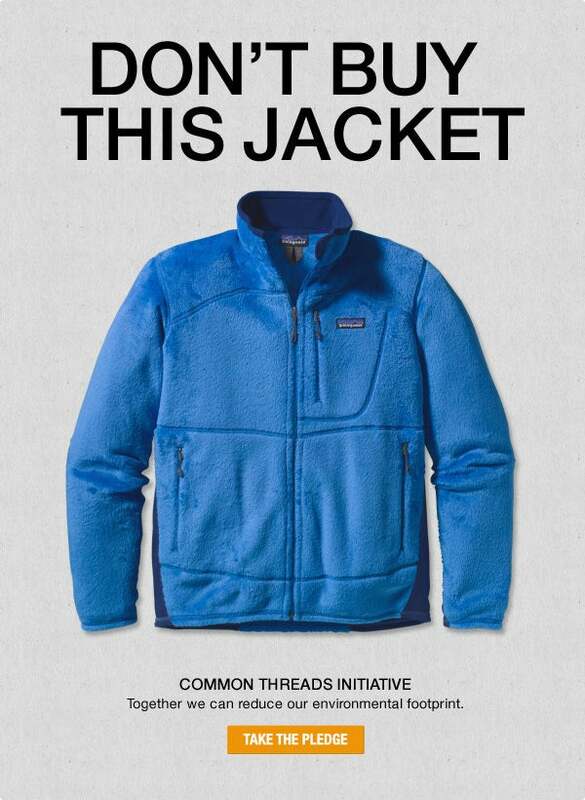 Patagonia is the largest brand yet to commit to the sustainable production methods. While the company announced its Fair Trade commitment several weeks ago, it won't have Fair Trade apparel products on store shelves until the fall of 2014 -- and even then, the outdoor apparel company will only have approximately eight certified items. But Fair Trade clothing aligns with Patagonia's corporate message. The Ventura, Calif.-based outdoor brand is long known for its commitment to responsible consumerism, once printing a full page ad in The New York Times instructing consumers to not buy one of their most popular jackets on the market due to the environmental costs required to produce it. Even for a company as dedicated to reducing consumer waste as Patagonia, getting set up to manufacture Fair Trade clothing was a challenge. "This sets us up in a different social direction, which is really a challenging area to try to do the right thing in a global business. It is not easy, which has been surprising to me," said Jill Dumain, director of environmental strategy at Patagonia at a presentation in New York City last month. Part of the challenge, aside from the getting the logistics of getting your supply chain to be Fair Trade certified, is getting your customers used to the idea that they have options. That process is already well underway when it comes to food in the U.S. Dumain uses eggs as an example. "Right now in the U.S. you can go and determine the life of your chicken by how you buy your eggs. Are they vegetarians? Are they enclosed? Do they have free range? And you don't think about that because you are buying off values, but basically you are determining the life of the chicken," he says. "And yet we have no decision-making power when we are buying clothes." In fashion, a world where consumers are trained to expect t-shirts at chain stores like H&M and Zara for $5 and less, getting shoppers into a mentality to spend more for fewer items that they will keep longer will take a while. Currently, the demand for ethically-sourced apparel that does exist is coming from a niche group of message-hungry consumers. For entrepreneurs willing to step out in front of the trend, however, there is both risk and opportunity. "The early movers do get that advantage of differentiating themselves in the marketplace and being pioneers of something new that everybody wants to support but not everybody is going to step up and take that leadership position," says Franzese. "And I think there is still an opportunity for new brands, or for small entrepreneurs that are just starting out, to get that credit really and to step out in front of this and be a leader."